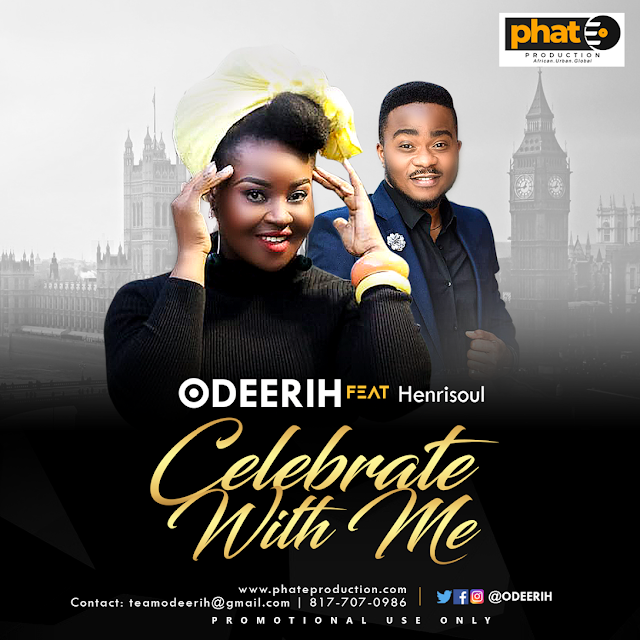 Ederin​ ​Precious known professionally as Odeerih is an international gospel singer born in Warri, Delta State, Nigeria. She is an American based gospel music singer and it all began in her early age. She served as a backup singer and worship Leader at her local assembly in her hometown, Warri, Delta State, Nigeria. Odeerih ​is an award winning gospel music singer, among her recent award is the “Outstanding Performance Award” by Praise Extravaganza USA. She has won various awards and recently won the “Women Walking In Light’’ 2017 awards, for the Best International Song. She is a writer and writes most of her songs. She ministers in both English and African languages with a remarkable impact on her audience. Odeerih, who is more than an artist,​ is also an innovative tool of influence with a passion for mentorship and a prayer warrior with Love for intercession, encouraging people far away and around. Resulting from this passion came the launch of the “Prayer For The Nation” and also “Healing and deliverance through “Prophetic Worship” a global ministry that seeks to reach out to orphans and destitute in our generation with the objective, not only to feed and clothe them physically but also to transform them spiritually with love and power of God in sharpening their knowledge and to help in executing of their gifts and potentials.